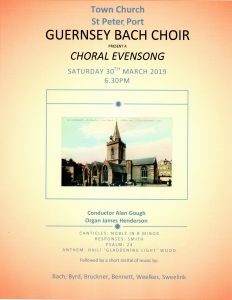 The Guernsey Bach Choir was formed in February 2007 by their conductor Alan Gough and has now given many concerts in various venues in their Island home of Guernsey. Although named The Guernsey Bach Choir, this vocal ensemble does not limit itself to the music of one composer alone but now has a rapidly growing repertoire of Anthems, Part-Songs, Madrigals and popular music both sacred and secular. Membership of the choir is by audition and it now has nearly 30 members. An important aspect of its membership is the inclusion of students studying for their ‘A’ levels. Many have now sung with the choir before going on to continue their education at University. It is hoped that some will later return and sing with the choir on completion of their studies. A popular format of the choir is to sing a Choral Evensong and then follow this with a short informal recital. The choir is pleased and very lucky to have the musical talents of organist James Henderson at their disposal to accompany them and also provide a choice of solo organ works to enhance the programmes. They have performed these in several of the Island churches and have more planned for the future. It is a lovely way of visiting the charming parishes of Guernsey and meeting new people who are happy to attend a concert given in their own church. Many of the concerts given have also helped to raise money for numerous local charities. 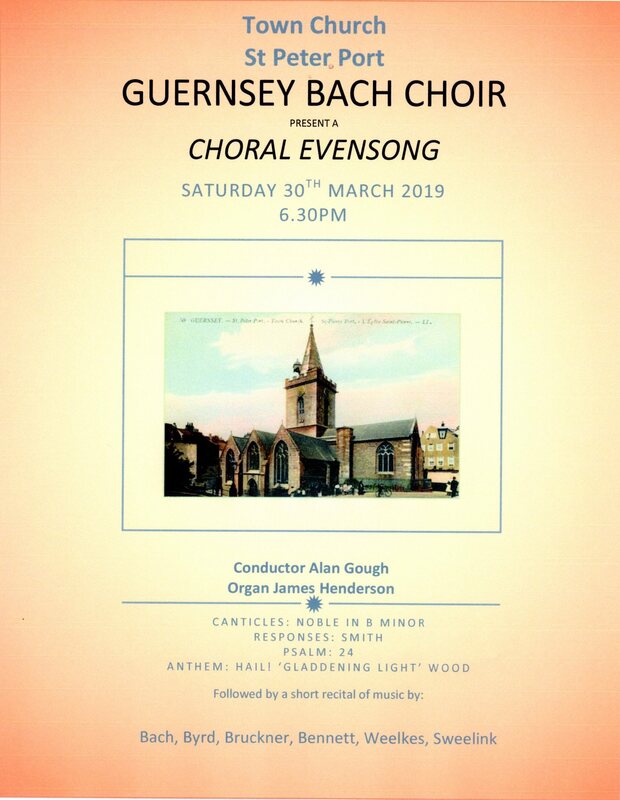 The Guernsey Bach Choir has given several guest performances in Guernsey’s premier concert venue St James Concert Hall, They have an invited orchestra of excellent local musicians to accompany them and are able now to tackle some very demanding repertoire. First rate professional guest soloists from the UK have also been able to join them and their appearances have helped to produce some truly memorable and thrilling performances.